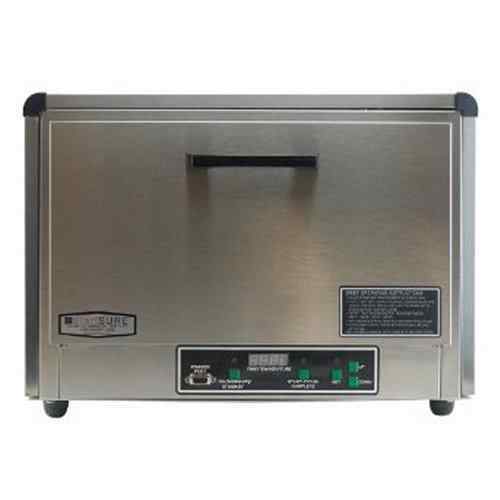 Drying time is not considered part of the sterilization cycle time. 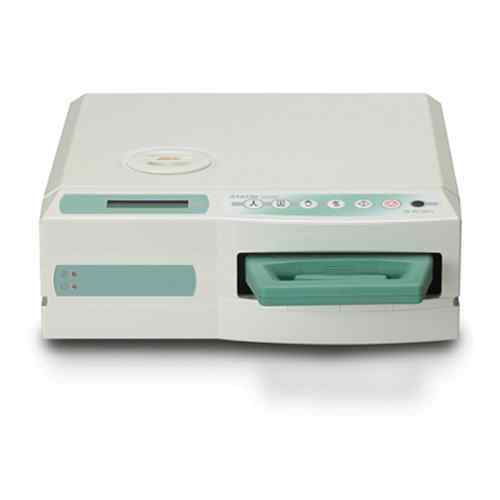 Automatic drying will occur after a completed cycle, but can be interupted by the user at any time. 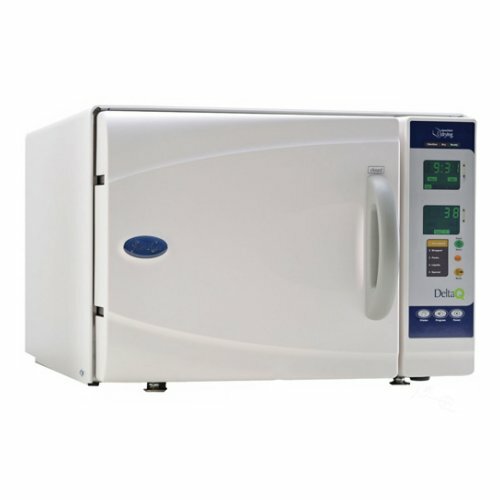 Not sure which Autoclave is best for you? See the answers below to the most common questions we're asked. 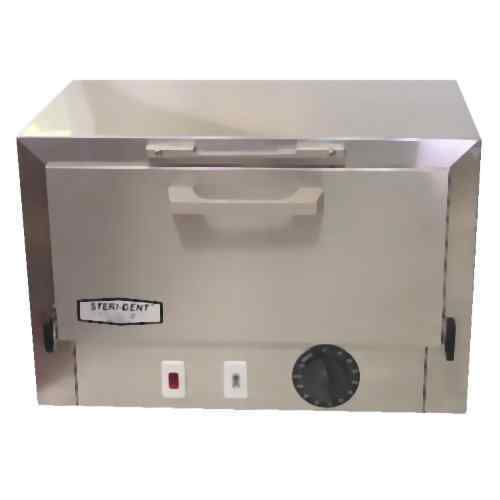 We've been in the business of providing sterilization tools to the medical and non-medical community for over 25 years. 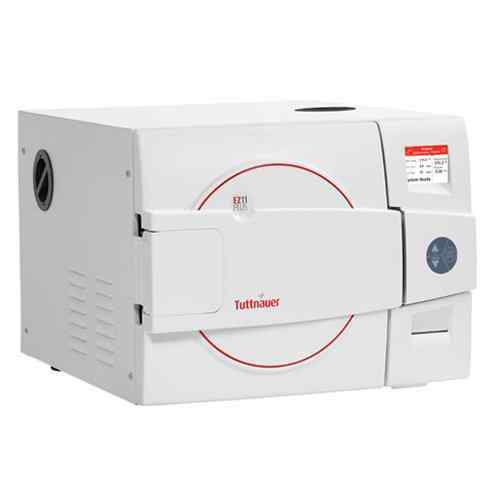 We are factory authorized distributors for the top manufacturers of autoclaves and employ highly skilled refurbishment and support professionals. Over the years we have used our experience to help consumers find the right equipment that is best for their application. 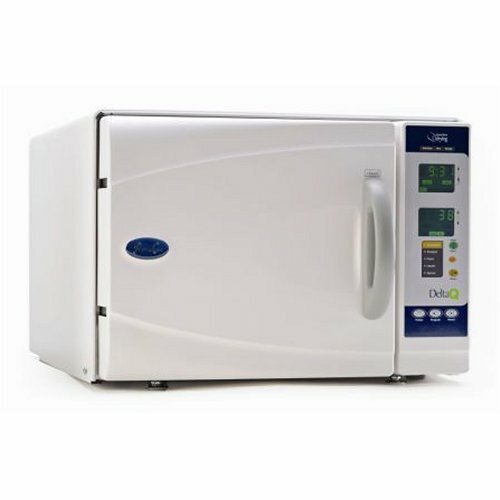 The following information should answer the most common questions you have and help you decide which autoclave is best for your situation. If you have a question that is not addressed here, please don't hesitate to call our toll free number and speak to one of our customer service representatives. 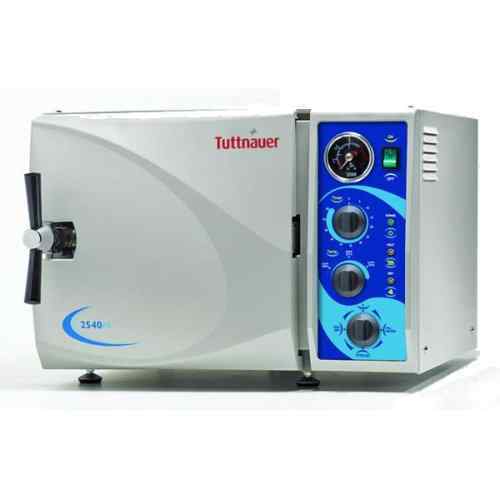 Most of the models we offer are known as tabletop autoclaves. They don't require a large space and are designed for an office environment. 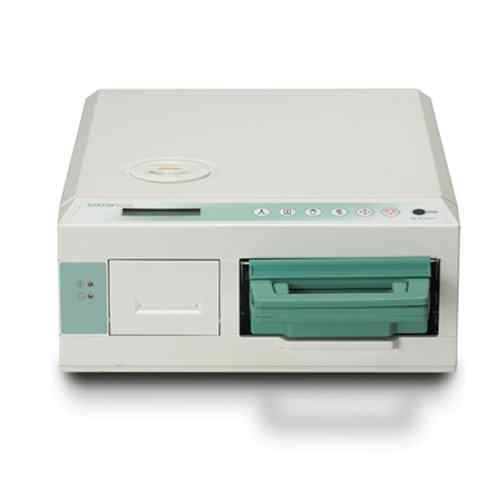 The physical size ranges from a unit as small as a computer printer up to the size of a mini refrigerator. 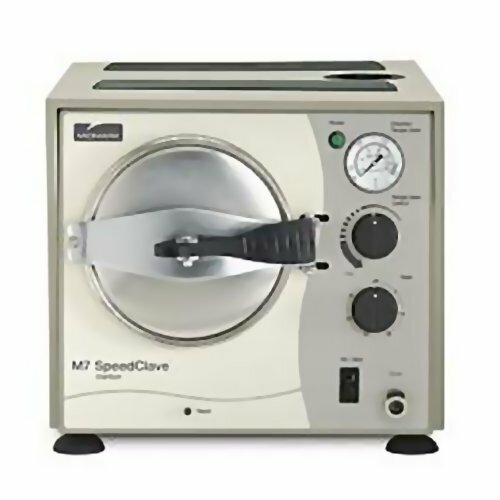 Generally speaking, your need will be driven by a combinatation of the number of items to be sterilized, the frequency of sterilizion and the cycle time necessary to properly sterilize your items. For example, you may need to sterilize small items such as surgical tools and assume that a small sterilizer is what you need. 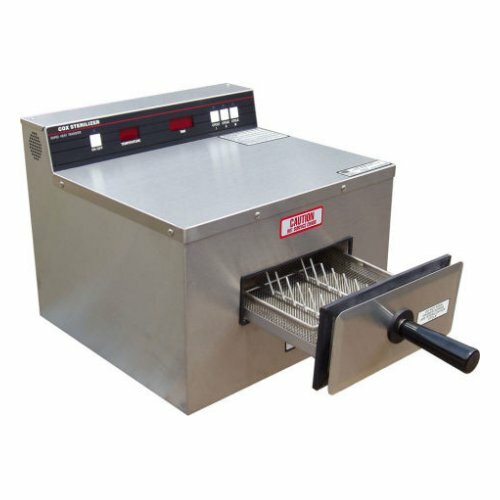 However, if you need to sterilize many tools on a very frequent basis, then the demands of a small sterilizer may not be enough, and a larger sterilizer might be more suitable. If you are a Tattoo artist or work in a Podiatry practice, then the smaller models will probably work best for you. Obviously larger items will require a larger machine. 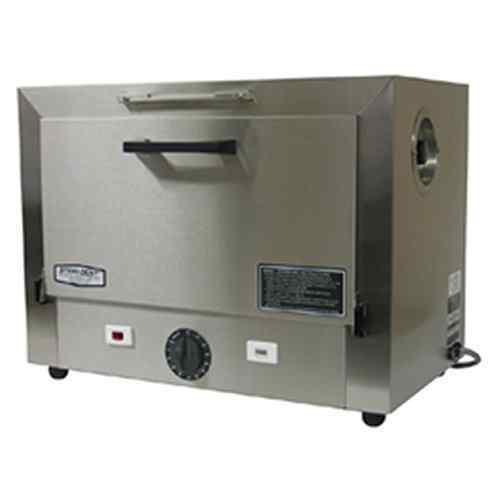 Autoclaves are generally defined by their chamber size. Chambers are measured by the size of the opening where you insert your items and the depth of the chamber. Common sizes are 7", 9", 10" or 15" (17.8cm, 22.8cm, 25.4cm or 38.1cm). 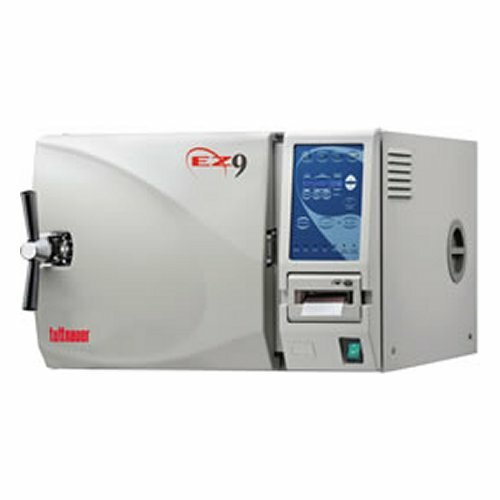 The main difference concerns the user's interaction with the machine during a sterilization cycle. 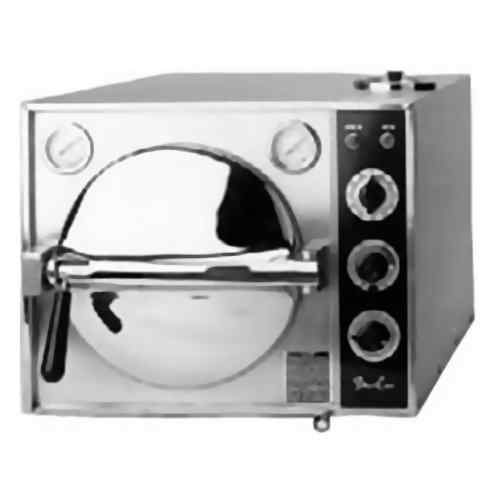 On a Manual machine, you will typically need to monitor the sterilizer and take direct action to advance the sterilization process. An Automatic machine does not require the same monitoring and automatically performs all the necessary steps. In other words, you set it and forget it. Another difference is found in the controls. Manual machines use analog dials and buttons. Automatic machine use digital controls. 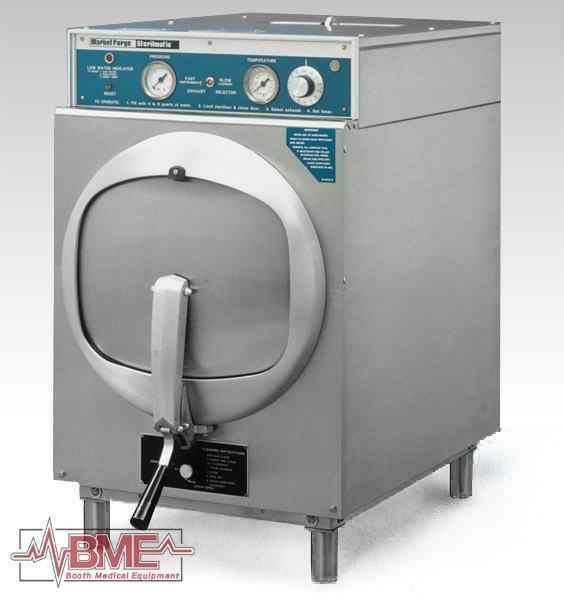 Regardless of the type or size of the machine, the first sterilization cycle takes the longest. 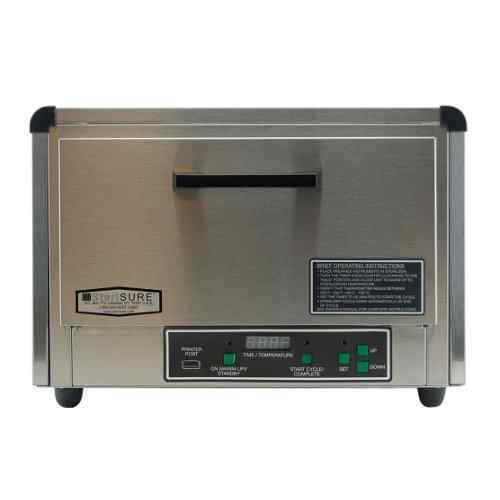 Once the machine is heated up, the following cycles are quicker because the machine does not have to heat up as much during subsequent cycles, also known as Cold and Warm or Hot Cycles. 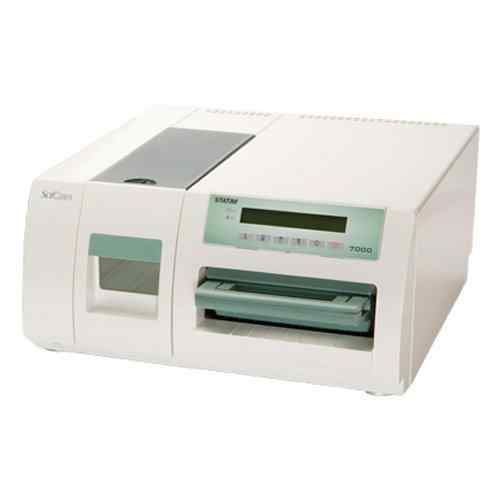 Depending on the model, smaller machines will tend to have shorter cycles than larger models. The more material you need to sterilize, the longer it will take. In general, smaller machines will sterilize from 10-30 minutes and larger machines will sterilize from 20 to 60 minutes. 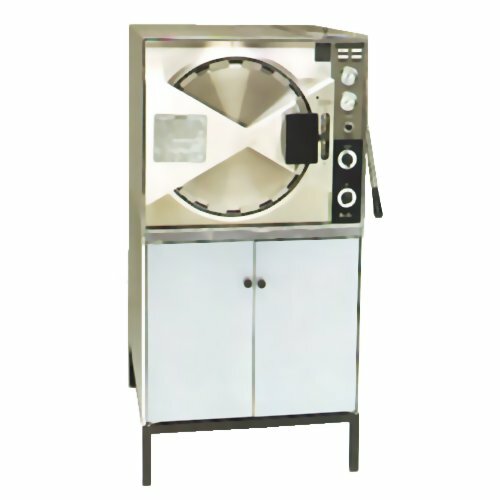 It all depends on the materials being sterilized and the capabilities of the machine. 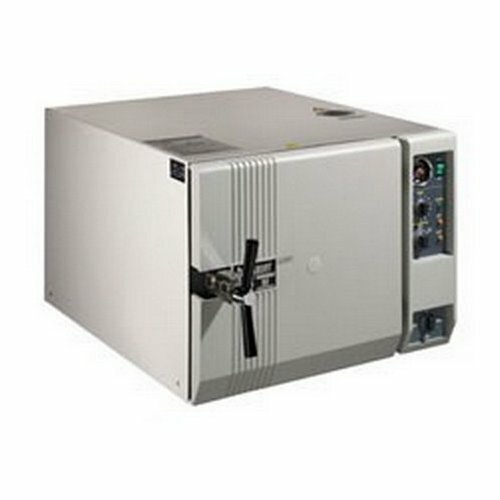 Most machines will run on standard 110-120 volt circuits. 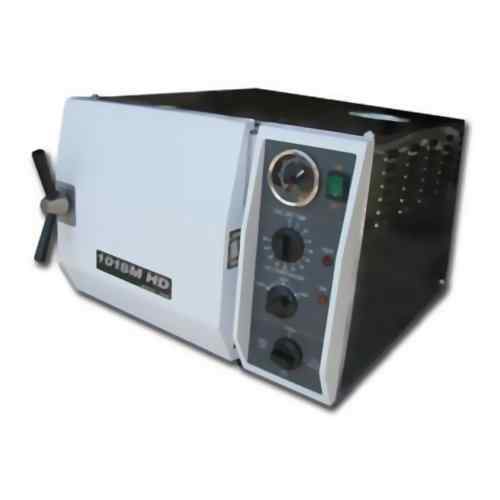 There are many machines with greater capability that will run on 220-240 volt circuits. 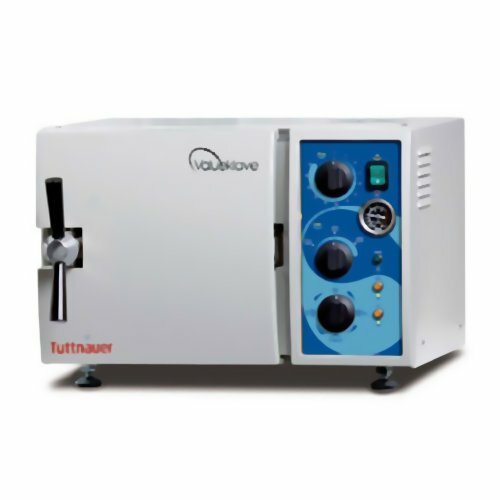 It's important to note that Autoclaves should always be connected to their own dedicated circuit, and you would never want to use a power strip or extension cord. 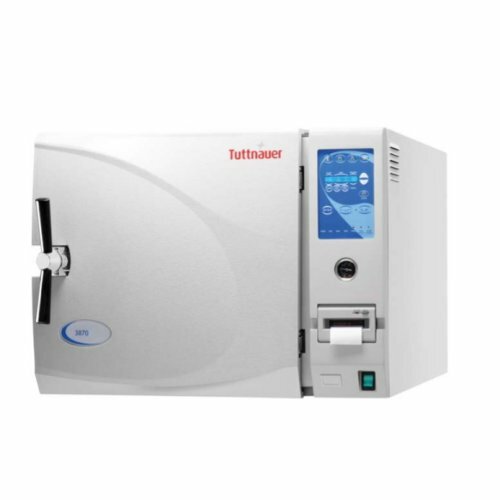 There are standard cleaners available which require nothing more than running an empty autoclave through a cycle with the cleaner inside. There is very little effort involved from the user's point of view. 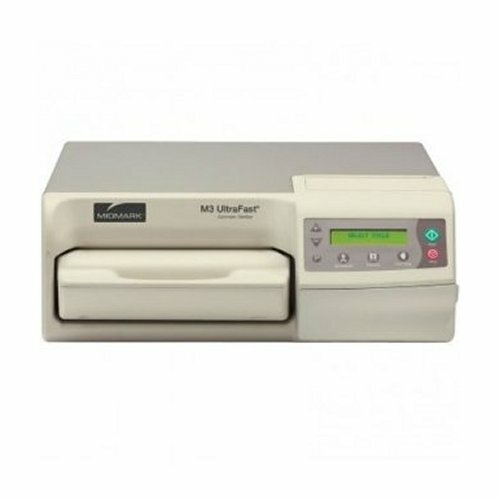 Various indicators are also available to determine if a sterilization cycle has indeed sterilized your items. 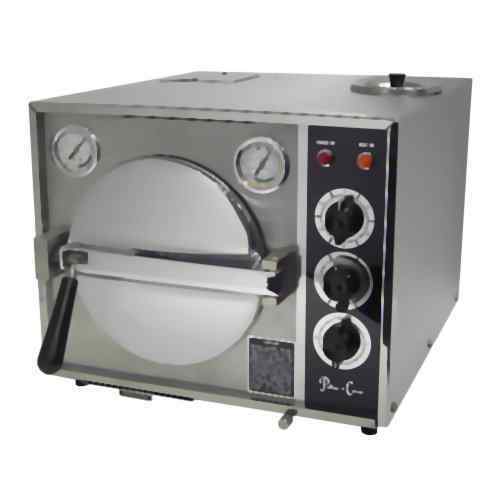 Factory warranties for new autoclaves are specific to the manufacturer. For example, Midmark has a 1 year on site parts and labor warranty. Tuttnauer has a 2 year on site parts and labor warranty. 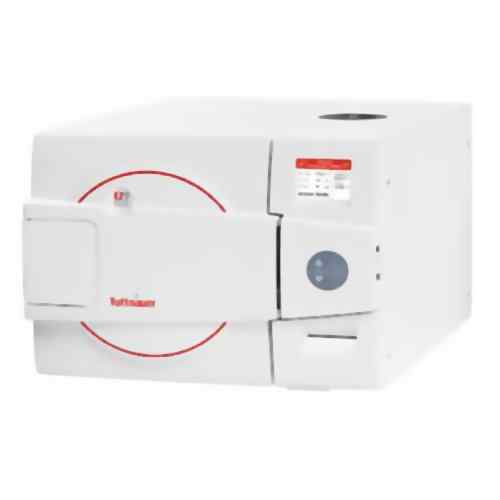 Our warranty for refurbished autoclaves is 180 days from the day you receive your machine. It includes parts and labor, but does not include return shipping costs.